Damage to the duplex on Crawford Street is estimated to be at least $75,000, according to fire Chief Shawn Esler, and the next door neighbor and her two children also lost their possessions. 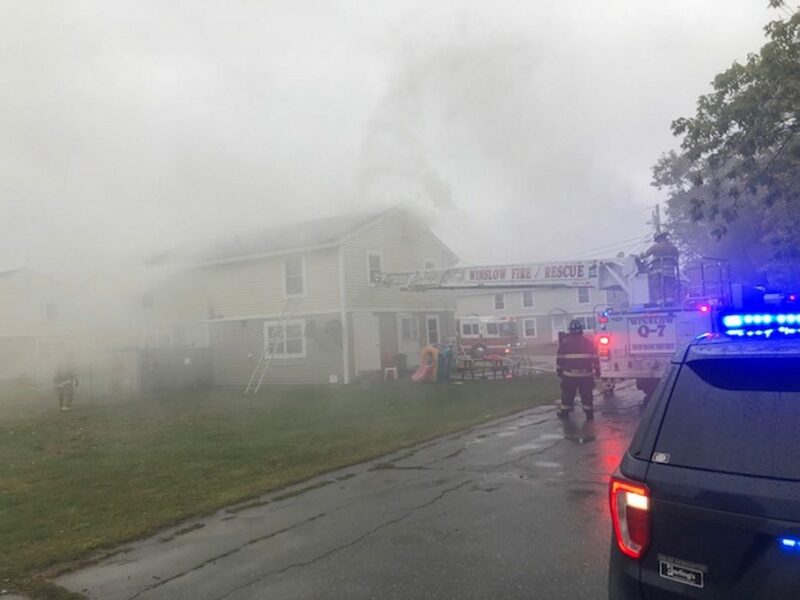 WATERVILLE — A pot of grease left unattended on the kitchen stove is determined to have caused a fire that heavily damaged a Waterville Housing Authority duplex Tuesday at 14-16 Crawford St., according to fire officials. 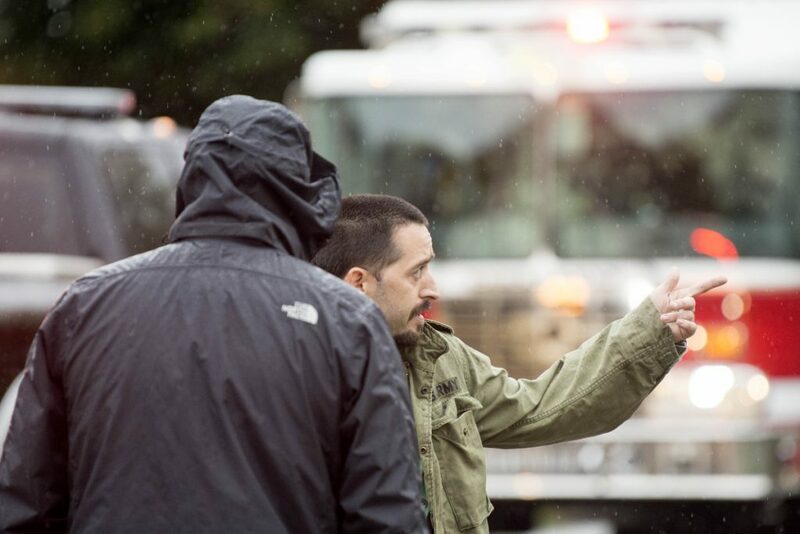 As of 9 p.m. Tuesday, crews were still at the fire, chasing embers in the blown-in insulation, according to Esler. He said that insulation can hide or mask fire that can be seen with a thermal imaging camera. Fire officials estimate at least $75,000 worth of damage was done to the duplex, according to Esler. 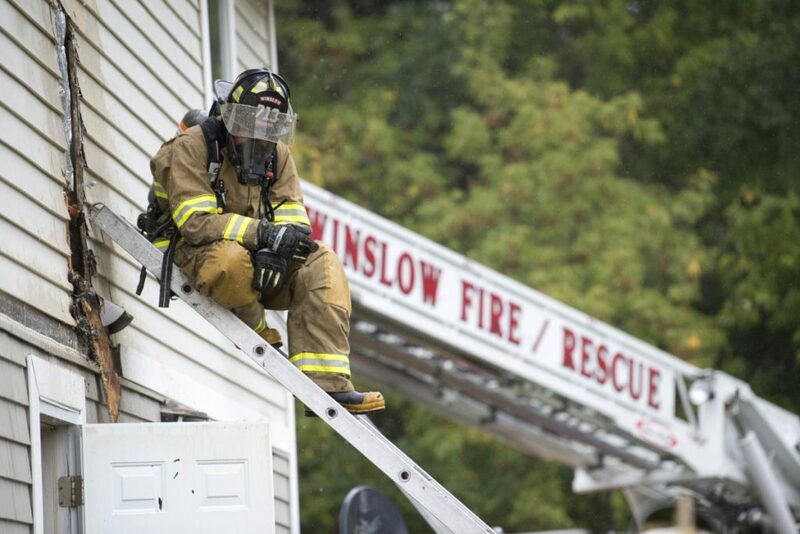 The Waterville ladder truck was not available Tuesday as it is being repaired, so Winslow firefighters brought that town’s ladder truck to help with the fire. Two adults and three children were displaced. Wilbur Hawes, 33, of 16 Crawford St., said Tuesday at the scene he had just placed grease in a big pot on the stove to make French fries and went into the living room when all of a sudden smoke filled the duplex and then he saw fire. He said he ran upstairs to get his daughter, Jazmyne, 8. Hawes said he did not think his snake, lizard and two cats, Taki and Sophie, who are black and white, respectively, survived the fire. Alison Gray, 31, and her children, Savannah, 1, and Trapper, 4, lived in the other side of the duplex and stayed Tuesday night with Gray’s parents in Oakland. Gray said Wednesday that she and her children were not at home when the fire broke out, and she learned from her mother that the building was on fire. Gray rushed to the scene where later, a firefighter went upstairs and retrieved her grandfather’s ashes from her bedroom, she said. She said she had earlier laundered her children’s clothes and folded them on the kitchen table. Firefighters placed a tarp over them, but she has since laundered them twice and they still smell of smoke. She also will have to dispose of her couch and mattresses and anything else made of fabric, she said. The ceilings in the bedrooms caved in sometime Tuesday night over toys, cribs and beds. 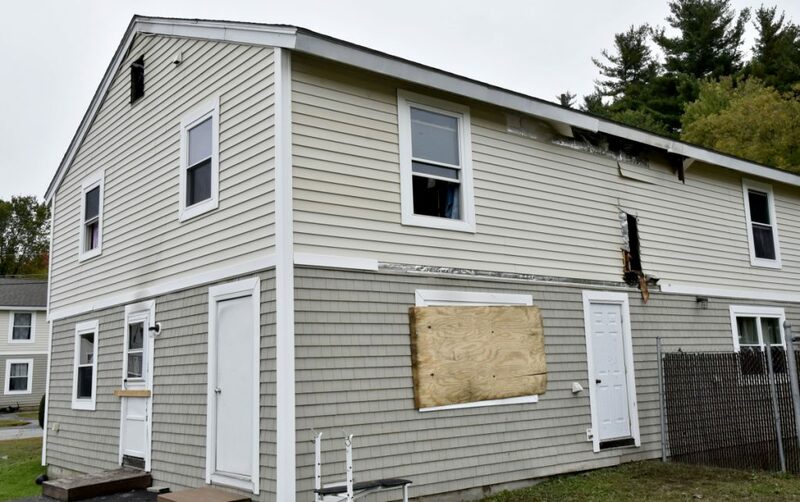 The fire is devastating for Gray and her children, who formerly lived at the Mid-Maine Homeless Shelter before moving into the duplex in April. As a single parent, she had worked hard to set up housekeeping. A part-time night manager at Oakland House of Pizza, Gray cried as she spoke of how much she and her children loved their home. Trapper always said good-bye when they left the apartment and greeted it with a “hello” when they returned, she said. 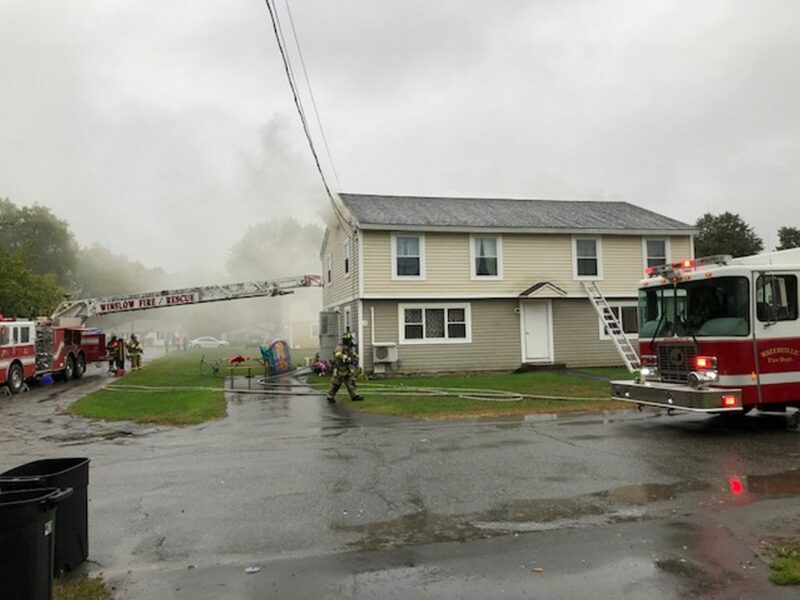 Waterville Housing Authority officials said they would place the family in another apartment, but Gray said she is not sure when or where that will be. She would like to stay in the area, as her children play with other children there and people watch out for each other, she said. Meanwhile, no one has offered to help her replace the family’s belongings, though some neighbors have given her some clothes, according to Gray. 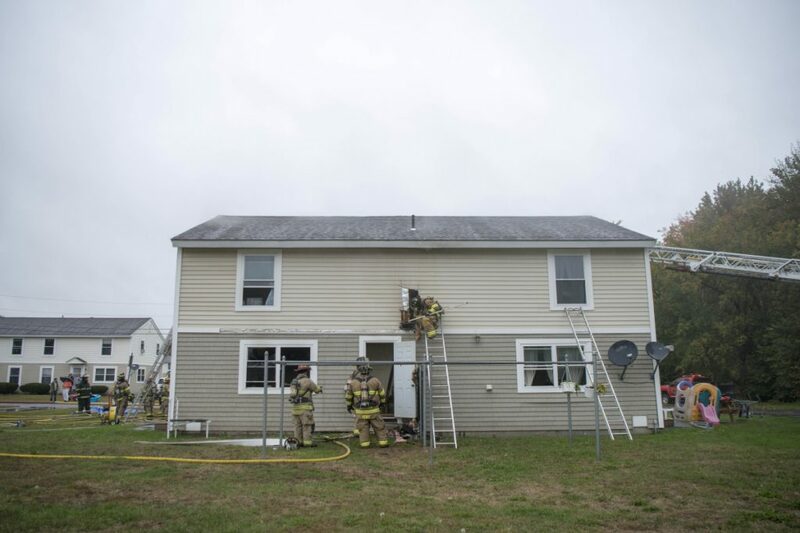 The fire was reported at 4:11 p.m. Esler said at the scene that when Waterville firefighters arrived, smoke was showing from both ends of the building, and it appeared there was fire on the first floor and extending into the attic. Firefighters put out a second alarm which calls five communities. Between the five communities, in the first 10 minutes of the fire, fewer than eight people showed up. 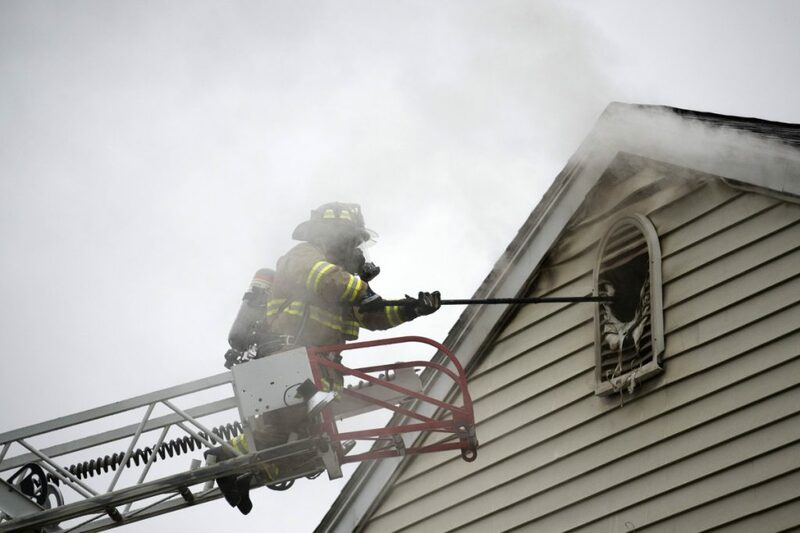 Esler said fire departments struggle to get adequate personnel to fires in a timely manner as call firefighters have other jobs during the day when most fires are reported. Firefighters from Waterville, Winslow, Fairfield, Oakland and Skowhegan responded to the fire. Albion firefighters covered stations.